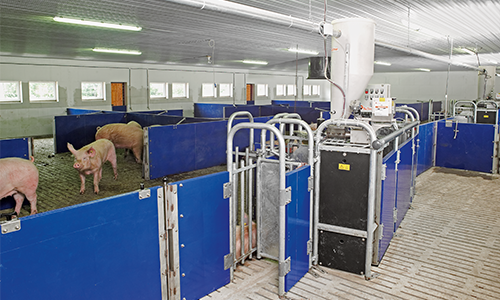 The Call-In Pro ESF system is best suited for large stable groups and offers the ability to individually feed pregnant sows. It features economical construction and key essential features. This system combines good quality with a competitive price. The CallMatic Pro ESF system works well for both stable and dynamic groups and can be adapted to fit any space requirement. 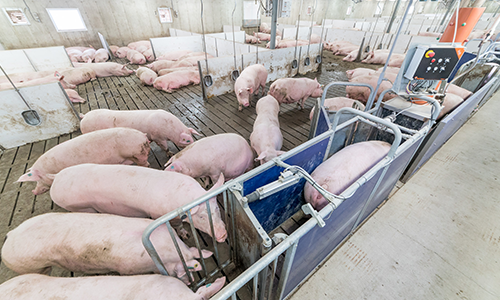 CallMatic Pro can also work with either dry or liquid feed and offers several options to make management simpler, including sorting, color marking, and heat detection. 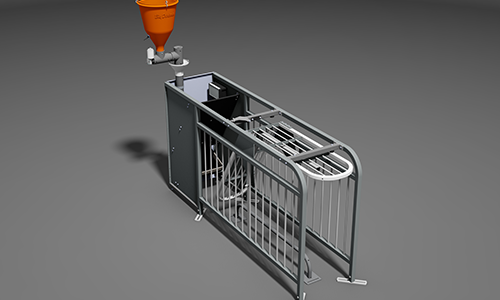 The BDFusion Pro feeding system brings together free access stall environment and Electronic Sow Feeding technology. Using our 510 Controller, BDFusion Pro stations are able to be managed from central controllers, making management very simple and protecting your equipment.